Fireworks – start thinking about them now. How to protect your pets from unnecessary scares during firework season. We know that the noises of fireworks, parades and festivities are in celebration, but our pets don’t understand that. Some pets may even have mild to severe noise phobias. Pet owners and pet professionals agree that July 4th is the worst day of the year for their furry friends. In fact, July 3rd is the most heavily trafficked day for vet clinics as customers are trying to find last-minute solutions in the form of drugs. iCalmPet’s Noise Phobia sound cards and CDs provide audible relief to the booming of fireworks and loud noises. They include specific training protocols by Victoria Stilwell, star of Animal Planet’s It’s Me or the Dog, and author of Train Your Dog Positively. 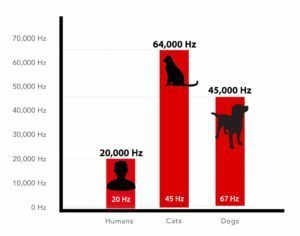 When used properly, the iCalmPet music and training protocols can help habituate and desensitize your pet to noise phobias and prevent young pets from ever developing them. Noise Phobia program choices for dogs include Fireworks, Thunderstorms and City Sounds. For cats, we recommend either Noise Phobias or Cat Calming. Why are we telling you this in May? The key to this pet sound therapy is starting long before the scary noises happen. That way your pet is already desensitized to these noises, and will associate the calming music with a relaxing environment, not a frightening one. We suggest starting now to ensure a calm environment during these hectic holidays. What’s Up with Thunder and Dogs? It’s the beginning of thunderstorm season. People with thunder-phobic dogs know this is no small problem. Thunder reactivity doesn’t go away by itself, and left untreated, it only seems to get worse with age. Symptoms of canine thunder-phobia include destruction, anxiousness, pacing and panting, hyperactivity, and crawling into a confined space, such as a bathtub or under the bed. A dog with severe thunderstorm phobia appears to think the world is coming to an end. It doesn’t have to be that way. We suggest preparing your pet household for storms before the storms happen. For many dogs, simple training and pre-season prep can make the difference between a peaceful household and a very uncomfortable thunder season. Here’s what we’ve got to help you out…CD’s and iCalmDog sound cards specifically designed to calm and rehabilitate thunder-phobic dogs. In 2011, we collaborated with world-renowned dog trainer Victoria Stilwell (star of It’s Me or the Dog, and author of Train Your Dog Positive!) and launched the desensitization program, Thunderstorms. Combining calming music with Victoria’s innovative training protocols produced effective ways to habituate your dog to the noises of storms. Basically, by your dog household’s repeated listening to specialized soundtracks that include progressive storm sounds, they come to associate thunder with calmness and a loving human environment – instead of holding thunder as an unknown solitary danger with no way out. Additionally, Calm Your Canine offers 3+ hours of specially-designed classical piano music to calm your pet’s nerves. Many people simply play this pattern-oriented music during thunderstorms to mask the unpredictable and unsettling sounds of weather. Both Thunderstorms and Calm Your Canine are available in Micro sound card and CD format. They’re portable and can be taken to wherever your dog is most comfortable. iCalm Players run on batteries in case the electricity goes out. Playback time can be reinforced with an extra iCalm battery charger (combined 20-24 hrs of unplugged music). Bottom line, desensitization tools will teach your pet to associate positive feelings with thunderstorms rather than feeling fearful, and will help to gradually reduce your dog’s fear when exposed to these sounds. The music of Through a Dog’s Ear has been successfully used by thousands of dog households to calm and distract animals during thunderstorms. In many cases, desensitization can keep puppies and young dogs from ever developing a thunder noise phobia. With mature dogs who’ve already developed reactivity, desensitization training has helped many lose or greatly diminish their fear response. Click here for Victoria Stilwell’s thoughtful and greatly informative assessment of noise fears, phobias, and auditory desensitization training. For you cat lovers out there… Many cat households have used these programs with their thunder-phobic felines and reported great results. Auditory desensitization can’t hurt and will only help. Our 60-day warranty makes it worth the try. Thunderstorms is one of three titles comprising the Canine Noise Phobia Series. Other titles include Fireworks and City Sounds. A few quick tips for using your iCalm more effectively. Here’s a snuffling* solution for a calmer household. I’ve been researching the use of music to calm pets since 2003. I understand every dog or cat is different. Each needs a unique combination of environmental soothers to help them stay comfortable in ‘human’ environments. If your canine has other dogs around, unfettered access to the outdoors with food and water, then you probably don’t worry about behavioral problems. However, if you live in the city and leave your dog indoors all day, it’s another story. I’ve learned that when domesticated animals lose their natural environment, their instincts ‘dumb down’ over time. They can start to go a little haywire, and physiological shut-down leads to behavioral changes. You can imagine what would happen if you were taken out of your natural environment. However, there are things you can do for your pets. By stimulating their instinctual processes, dogs and cats essentially work out their sensory muscles, and, dare we say – feel a bit more animal-like. This is a good thing. Think of your go-to stress reducers, such as the gym, doing yoga, going to the movies, etc. iCalmPet features unique sensory tools designed to help de-stress your pets. We’re delighted to bring in the Wooly Snuffle Mat that stimulates your dog’s foraging instinct. Dogs have a sense of smell 40 times greater than our own, and eyesight that is far worse than ours. They essentially see the world with their noses, and the Wooly Snuffle Mat plays to a dog’s need for olfactory stimulation. When you add auditory + olfactory + kinesthetic, you are providing great environmental enrichment. While you can’t bring the great outdoors inside, you can be smart with other natural sensory options to keep your pets calm. As we know, dogs and cats are so different and the solutions to their environmental stressors are different, as well. * Snuffling: Making repeated sniffing sounds as though smelling at something. All new music for YOU! Last August, we launched a survey that 900 people responded to. Thank you for your feedback; we’ve read every comment and suggestion. We learned many things and your feedback helps us better serve your households. Here’s some quick tips and referrals. Many people love iCalmPet music for both their cats and dogs, but there seems to be a little confusion about how to use our specialized soundtracks when both dogs and cats are present with each other’s music. We’ve created different sound programs for each species, calibrated to their specific auditory/spatial needs. So what happens? No worries, nobody will be negatively affected by listening to each other’s music. But, iCalmCat content will be more efficient for your cat, as iCalmDog content will be with your dogs. However, neither will cause distress, meaning your dogs will still relax with the cat music, and vice a versa. Many shelters and rescues will attest to this, using the same iCalm auditory content for both animal populations. What is the difference between the iCalmCat and iCalmDog auditory programs? About the players: There is no difference in the iCalm players, even though they may be labeled iCalmDog or iCalmCat (this labeling actually refers to the sound cards included in each package). You can easily play our Cat sound cards on an iCalmDog player and no worries. All iCalm 3.0 players are identical. It is the interchangeable sound cards that are highly focused. This latest distribution medium is becoming the dominant way to access sound and visual content via computer and smartphone link-ups. 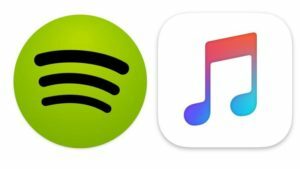 For music, Spotify and Apple Music are the leaders in the fields. For approximately $8-10 a month, you have unlimited access to huge libraries of the world’s music, and this includes iCalmDog and iCalmCat content. You can “stream” our soundtracks through your home computer speakers or our iCalm players for unlimited hours daily. Your existing iCalm speaker comes equipped with Bluetooth technology that allows it to pick up the signal from your computer. If you don’t have an iCalm player and want to stream, we have created the iCalmDog 3.0 à la carte package that is “player only” and sells for $42.95. Did you know that your Shockproof Carry Case isn’t just for the transportation or storage of your iCalm player? You can have your iCalm player playing music while it’s protected inside of the carry case! The sturdy, yet porous shell allows sound to come through easily. This is especially useful on the go, or if you have a particularly rambunctious pup (or curious child) who may like the bright and shiny player. Keep it hidden, keep it protected!